New Climate Central writer tries to connect climate and extreme weather with love of bigger destructive storms | Watts Up With That? WJZ meteorologist Bernadette Woods is leaving the CBS-owned station to join a non-profit firm in New Jersey focused on climate change, she said Wednesday night. Woods described Climate Central as a “non-profit, non-lobbying company which deals with climate information, basically trying to educate the public” on climate change. Woods, a Penn State graduate with a B.S. in meteorology, earned her Television Seal of Approval through the American Meteorological Society in 2004. Like some storm chasers, some TV weather types get an adrenaline rush from severe weather events. I was once that way when I was young and stupid, until one day I was sent into the field to cover a tornado damage story, and I saw firsthand the loss of people hit by the storm. As I’m sure Ms. Woods will eventually read this story, I direct her this history on technology, media, and severe weather to help her gain some perspective. Nothing like the a priori declaration of “it’s what’s happening” when you are doing “science”. But they’re activists. It’s about what will SELL, and they’ve decided this is what will sell to the low-information citizen. They’re dishonest to the core, and all we can really hope is for a major schism in the warmist community over this sort of misconduct. I disagree with the focus. We don’t upbraid Civil War enthusiasts on the basis that so many were killed, therefore there is something wrong with having an interest, even enjoyment in the study of in the subject. There’s nothing wrong with interest in large storms, even if they kill people. Let’s focus on the misguided notion of this person trying to combat misinformation by adding to the stock. Maybe she can also help out by choosing cute storm names for the entertainment-oriented “Weather Channel” (which was formerly a popular and well-regarded public information cable channel and website for the weather). Isn’t climate the average of all weather, extremes included? She needs to go back to school. Big difference in studying history and historical events and wanting violent powerful dangerous things to happen in the future. I’m a ham radio operator and just attended Skywarn again. There is a difference in storm spotting and storm chasing. I have never met a ham that drools and salivates when a weather net is activated. And not a single meteorologist from any of the three stations that attended Skywarn, or any hams, or any National Weather Service personnel made the slightest hint that any storm or weather event is linked or could be linked to any changes in the climate. How can they even consider a “meteorologist” with such a tainted and controversial background? Beats the heck out of me. Fascination at the raw power of our atmosphere is nothing to be ashamed of. “Weather weenies” don’t get drawn into Meteorology because each day is clear and 85. Regardless of any other point in the article, a person expressing a desire to observe weather extremes is not the same as one wishing to see people hurt or killed. Not even close. Highlighting (and then expounding on) that unfounded conclusion is misguided at best. I have to echo TheOtherPhil here, you know perfectly well that when she says bigger storms are “better” she means “more interesting to study”. I’m sure that virologists would say a new, rare, aggressive virus would be of professional interest to study but that doesn’t mean that they wish people to contract the virus. Are cancer scientists pro-cancer? It’s absurd. She studies big storms because she wants to be able to give people more warning to SAVE lives, the same way a virologist or cancer scientists do. This is GREAT! Now she can read the following “science” and let me know if it “misinformation”? There is argument as to the extent to which there has been an increase over the past few decades in the frequency of the extremes of climatic parameters, such as temperature, storminess, precipitation, etc, an obvious point being that Global Warming might be responsible. Here we report results on those parameters of which we have had experience during the last few years: Global surface temperature, Cloud Cover and the MODIS Liquid Cloud Fraction. In no case we have found indications that fluctuations of these parameters have increased with time. It is anticipated that the 20CR dataset will be a valuable resource to the climate research community for both model validations and diagnostic studies. Some surprising results are already evident. For instance, the long-term trends of indices representing the North Atlantic Oscillation, the tropical Pacific Walker Circulation, and the Pacific–North American pattern are weak or non-existent over the full period of record. The long-term trends of zonally averaged precipitation minus evaporation also differ in character from those in climate model simulations of the twentieth century. We report a near-zero temporal trend in global mean P. Unexpectedly we found a reduction in global land P variance over space and time that was due to a redistribution, where, on average, the dry became wetter while wet became drier. observations and perceptions are the key. She needs to read about the bad weather of the past and realise she’s still wet behind the ears. “Woods described Climate Central as a “non-profit, non-lobbying company which deals with climate information, basically trying to educate the public” on climate change.” So who, exactly, is paying her salary? Since it would appear that she graduated from PSU no later than 2004, and Mann started there in 2005, I fail to see how she could have been his student. Can you tell me what caused the Great Colonial Hurricane of 1635? A Cat 4 storm that is considered to be the strongest ever to hit north of North Carolina, right in the middle of The Little Ice Age? Mann wasn’t hired until 2005, and there are over 3 dozen metrology profs (not instructors, professors) at PSU, so you could go your entire 4 years and not get him. At any rate PSU has one of the oldest and best Meteo programs in the country and bascially generated AccuWeather (based in State College) founded by Joel Meyers a PSU alum, which has, AFAIK, been pretty apolitical in the whole Global Warming deal. Mann, despite his giant Q ratings, is a tiny little piece of PSU. “There’s so much misinformation out there, that this company started in an effort to try and get good information to the public,” she said. So she will be promoting WUWT. Good. Just make sure she gives proper credit. Well, at least WJZ viewers are likely to get a better weathercaster from now on. Can’t be worse. A BS is meterology? The folks I know are either MS or Ph.Ds. And none of them believe in AGW. The only thing they stipulate is the CO2 level in the atmosphere. The Ph.D. does numerical modeling for a USAF contractor. Last time I talked with him he said the models still do not have the “resolution” to draw any definitive conclusions about anything that drives Earth’s climate. In short, he says, they still don’t know enough about the Earth-ocean-atmosphere interactions to say much of anything. I will point out that the “attitude” (the prejudices and privileges and grant money and research and the promises of future grant money) that HIRED Mann from University of Virginia into Penn State WAS the same that trained Wood, that graded Wood in her classes, that influenced Wood throughout the four (or more) years of her undergraduate time at Penn State. Now, we know that one of the primary “influences” or controls on Penn State is grant money and research funds – “grant-money-brought-into-the-university” is, after all, one the first things that Penn State puts on Mann’s “qualifications” for his position at Penn State. The millions for new research at Penn State into malaria spreading from global warming was declared just days before Mann was excused by the university’s “so-called” examination” into the Hockey Stick debacle. Thus, it is up to Wood to prove that she is not influenced by the extra money she is now getting by her promotion of CAGW extremism and her political power and influence! /sarchasm – that gaping whole between a liberal and the real world. @ Joe Bastardi. @KevinUK My information (2004 as date Mann joined PSU) was in error, and I’ve made a correction to the headline per your and others advice on the matter. Thanks to everyone for the corrections. Rattus is right, Mann started at PSU in 2005, she was not a student of Mann’s. You may want to change the title. While your at it, you may want to remove the (blatantly false and exaggerated) ad hominem attack on her “laugh[ing] about tragic storms that kill and injure people, including childern”, which many of the comments here have addressed. It stays he as ‘Associate Professor, Pennsylvania State University, Department of Meteorology [joint appointments in Department of Geosciences and Earth and Environmental Systems Institute (EESI)]’ from 2005 to 2009.
it would appear that she graduated before Micheal Mann arrived at PSU. Perhaps you should therefore now change the title and drop the ‘student of Micheel Mann….bit? She.s the weather girl, and getting too old for that position. I watched her for many years, and, they’re all pretty much the same in Baltimore. She reports the weather as well or not well a everyone else. Nothing controversial about her. A useful reminder that even when Mann falls , his ‘work ‘ will live on. She is just another television professional in this tiresome Age of Hype. If you can use the words ‘extreme’ and ‘climate’ while describing storms then you are good at hype. She might watch a lot of NBA as they are the very best at hype. I understand that America has taken the language and modified it over time and, unlike Prof. Higgins, I have no problem with that. But surely the phrasing above just screams “airhead” even in American? Does she also want to work with small animals and furry children? So she admits they are still “trying” to make the connection between climate change and extreme weather but she already knows what’s happening. When you come to a definite conclusion before the facts are in, that’s not science. She doesn’t love science, she loves “the cause” and any propaganda that supports it. At least she came out of the closet. We all know what to expect from her; fomenting disaster and treating climate change as if it’s only a recent phenomenon, rather than a major factor in what helps spur adaptation and survival of the fittest. Lovely. In a check of the links I had within my article that I linked to in my comment above, I discovered that a page for ex-founding director of Climate Central Berrien Moore’s bio is missing three critical words that I quoted in my article. It appears that Mr Moore or someone may have scrubbed those from his U of OK bio page…………… but they still appear in several other places, still to his detriment when it comes to the portrayal of Climate Central as an unbiased organization. So, I placed an author’s update to my piece noting that problem. What part of “what has been seen on the internet cannot be unseen” does our AGW promoter friends not understand? Good career move. Moving from meteorology, where you can make big mistakes and still keep your job, to climate science, where you can be surreal and still keep your job. ”They are trying to connect climate with extreme weather, because that’s a lot of what’s happening”. The scandalous move from means to extremes hardly can be scientifically motivated because variance-increase does not follow from AGW, at most trivially as mean and variance are correlated in skewed distributions. Probably, the move has to do with hype. First, record setting comes from the world of sports and has no scientific value. It is based on arbitrary records and implies artificial dependence. Second, there are always extreme events somewhere. Walking behind them comes from TV programs like Tornado Watchers or programs about winners in a lottery. Third, people are (rightly) afraid of extremes making them the best items to scare them. It seems that this lady is at the right place at the right moment. As this numb-skull moves to a non profit; so should the attention of Congress: All the CAGW activists are hiding their activities under the form of tax evasion called non profits, maybe it’s time to end them. How much money do they cost the American tax payer every year? RCON; what a stupid argument to advance. As if she could care less about anything than her own career. Wake up, you’re living in a dream, a bad one. 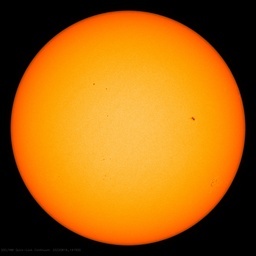 The solar physicists were confidently predicting that the start of our drift towards a mini-ice age in the middle of this century would commence with a change in the sun cycle in 2007. It should therefore come as no surprise that with more cold fronts to meet up with the warm fronts that from time to time we would experience stormy weather. Clearly this lady feels it is all to do with Earth’s number one plant food. What a waste of an education. Co-founder, NOAA Director Jane Lubchenco must be proud at the growth of this government and foundation funded organization on its mission to to “…make Americans feel the power of what’s really happening to the climate” ..objectively speaking, that is. key phrase people, trying to connect. DavidG, you really missed the point of my argument. The point is not that she holds or doesn’t hold a moral high-ground for wanting to focus her attention away from day-to-day weather to more extreme weather events; the point is that she is not some destruction loving sadist for doing so. Perhaps you can wrap your head around this analogy more easily. Let’s say there is a general practitioner that leaves his job to study infectious diseases. When asked why, the person says “Because I just find studying infectious diseases fascinating ! The more deadly, the better!” It should be obvious that by “better” they mean “interesting” and that they certainly don’t mean that they relish in the fact that people die from these diseases. With any profession, people are usually attracted to the more extreme situations in the profession, as they find the “norm” is less interesting to study. Furthermore, the reason for this increase in interest is usually due to the fact that there is a greater ability to contribute positively to society when studying a subject that is more destructive to it. Now your resentment to this is based on you not agreeing that this career change with have a positive effect on society. That’s fine. However, what is not ok, is the attempt to demonize this individual by deliberately misrepresenting her statements. This was my point, which was repeated several times in the comments by other people. And Anthony, although I appreciate you removing the reference to Mann, you went from an erroneous title to a slanderous one, that’s not much of an improvement. You know perfectly well what she meant by her comment and yet you change the title to that, put in the emphasis and included Nelsons quote, in an attempt to discredit her. They are trying to connect climate to extreme weather…. To myron: .-. .-. -.. . -. …– -.– … .-.-. There is a fallacy about extreme weather that makes the MSM meme believable to low-information voters. People only remember the weather that they experience. In this the Information Age, we know so much more about the world, that untrained minds cannot shake off anecdotal evidence. These people do not know that the STATISTICAL EVIDENCE is the only issue, and do not even know when they are being fed a pack of lies. Go, Bernie, feed the lies, you have a big future…. Starting a company, with what money? I suggest that Following The Money would be instructive here. Has this been checked for accuracy? If they’re yelling “non-profit, non-lobbying,” they are probably the exact opposite – especially as they already are with “climate information”. P.S. You left out world peas and dolphins. I agree with her though, that big storms are exciting to watch, but I doubt she wants any associated destruction. Where I think all of us agree, is that “climate” in general, doesn’t specify local, regional, national, hemispheric or global. Extreme weather is usually dictated by local or regional conditions. The average of which becomes the climate in the area. Considering what Mt. Everest suffers every year, you can’t say that extreme weather is something new there at all. In fact, zero wind and sunshine on Everest is somewhat rare. She’s chasing unicorn farts because the media and associated warmist sites won’t present her with the historic information required. Forget the article…..read the comments!!! If humans can deforest and overuse large expanses of the earth’s land mass, drive many species to extinction, clog and poison rivers and lakes, exhaust fresh water supplies, overfish the seas, darken daytime sky, and light the night sky, how can you possibly believe they have no long-term net effect on climate? We live in an aquarium with too many inhabitants, too much light, and a clogged filter — yet some far too many will refuse to see it until it is beyond repair. Sadly, they choose to stick their head in the sand. We have lots of research, but very little common sense. Sorry, but this blog is going downhill greatly. It is becoming a nonstop bashing toward anyone that believes in man made global warming. You throw a fit over that “D word” you hate so much, but you have no problem turning this woman into some kind of big villain while have very little reason for doing so. This is nothing more than a senseless attack piece. I too am enjoying the comments! There are times when an article may have been taken out of the oven and served before it was done. This would be one of them. But it encourages the continued lively discussion on this web site and keeps me adding popcorn to my grocery list on a regular basis. From the sound of it, this weather reporter may have found her home! As in “village” and all that. It seems from the quote that this woman was educated in B. S. at Penn State. This non-profit organization is very top heavy with management. Ms Woods will fit quite nicely into the staff of this behemoth of special interests, too bad she is not Asian. It is great that so many young academics are gainfully employed in this “climate”; 5 science writers, 8 board members, 3 founders, 8 editors…totaling 33 people with 25 in apparent management rolls. Many are prolifically published…wow very impressive (sarc), but i could not find any primary research. I do confess that i was overwhelmed by the amount of info and went for a nap. Where else in the world (and on what blog?) could one write the above and get it published – and not be looking forward to a ‘turn on the spit over a roaring fire’?